Since 1894, the number one guardian of family records has been the Church of Jesus Christ of Latter-day Saints (LDS), along with the Genealogical Society of Utah. Over the years the organization has assisted people across the world connect with their ancestors. They have improved the methods of gathering, collecting and then preserving countless vital records, pedigree charts, family histories, documents and other resources. They work with other organizations, different ethnic and religious groups, in numerous countries to preserve their heritage. The main collection with over 24 million rolls of microfilmed records is safety guarded at LDS Family History Library located in Salt Lake City, Utah. All resources gathered are in a vault located within a canyon wall beneath 200 meters of solid granite. This Granite Mountain Records Vault is climate controlled to protect the records. Countless copies of these records, most placed on microfilm, can then be shared anywhere in the world. Because they want everyone to share in the research, copies of all their records are available to anyone to use, free of charge. The only fee is for shipping requested microfilm copies. To make such research more convenience, they have over 4,500 Family Centers (branches of the Library) in some 88 countries across the world. This offers local access to most everyone, no matter where you live. Of great benefit, especially for individuals just starting their family genealogy, each Family Center is open to anyone and has volunteers available to assist everyone. Each local Family Center has a vast collection of their own featuring maps, books, microfilm, microfiche, pamphlets, charts, and computers with Internet access and data discs. Any specific research record not held by the local Family Center can be ordered from the Salt Lake City Family History Library and sent to the local center. A few examples of what can be located or requested from a Family History Center: the U. S. Census (1790 to 1930) or United Kingdom Census (1841 to 1901) records for specific towns, counties or regions. The manifest of ships arriving to ports in the United Kingdom and the United States can be very useful to the researcher. Countless church records and city directories have been scanned and are available to research. As in any library, there is an enormous catalog of holdings. With computers to use at each center, it is simple to search on an ancestor’s hometown to view what is available. Having this additional local material already collected and preserved on microfilm makes it very convenience for the researcher rather than traveling to that ancestor’s hometown to check their churches, libraries and courthouses. Other databases available through the Family History Center include: Ancestral File Database with over 37 million individual names in a family lineage, supplied by other researchers. There is the International Genealogical Index Database that is based on governmental and church records with over 290 million names. Within the Pedigree Resource File there are family trees completed by family researchers with over 81 million names. The Social Security Death Index for the United States contains millions of listings for individuals providing their death date and last residential location. Well over seventy Family History centers operate across England, sixteen centers in Scotland, eight in Wales and three in Northern Ireland, all with the purpose to provide a free repository. Across the United States are more than 1,800 Family History Centers. They will gladly aid each family researcher, from the beginner to the advanced. 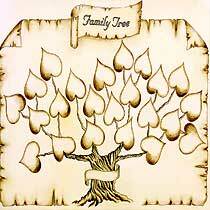 Most local Family History Centers, offer during the year genealogical seminars or classes. Here, the researcher can learn additional genealogical research techniques. Making use of the local Family History Center is absolutely essential for every person researching their genealogy.